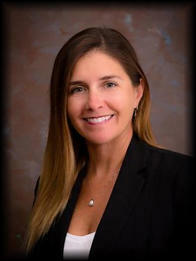 As a vice president and business banking relationship manager for Fifth Third Bank of Greater Daytona Beach, Florida, Kelly brings over 20 years of financial industry experience to the Volusia County market. She is skilled at boosting financial productivity for businesses, their owners and employees, through the delivery of appropriate lending, cash management, payroll processing, and payment services solutions. Her customer-centric approach, experience, and resources bring value to her clients as she collaborates with them to reach their goals. Kelly is a graduate of Daytona State College. She grew up in Ormond Beach and currently lives in New Smyrna Beach with her family. Kelly enjoys fishing, boating, golfing, and the great outdoors. She is also passionate about community service staying active as a member of Port Orange – South Daytona Rotary Club, VMA, Leadership Daytona Class of XXXVII, and Daytona Beach Regional Chamber of Commerce.